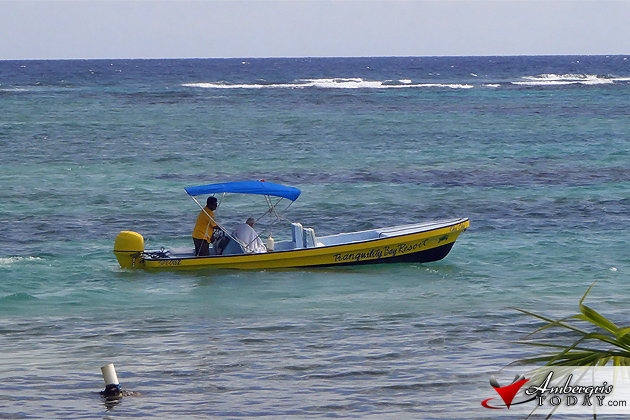 On Friday, November 2, 2012, the staff of Tranquility Bay Resort, located 12 miles in North Ambergris, rescued a tourist who had ventured into the bush as he explored the area on golf cart looking for the island’s ‘Turtleman”. He ended up getting lost and spending the night in the island wilderness, suffering from hypertension, exhaustion, insect bites and dehydration. According to personnel at Tranquility Bay, the staff heard a gentleman shouting “Help me!” from far into the bush behind the resort. 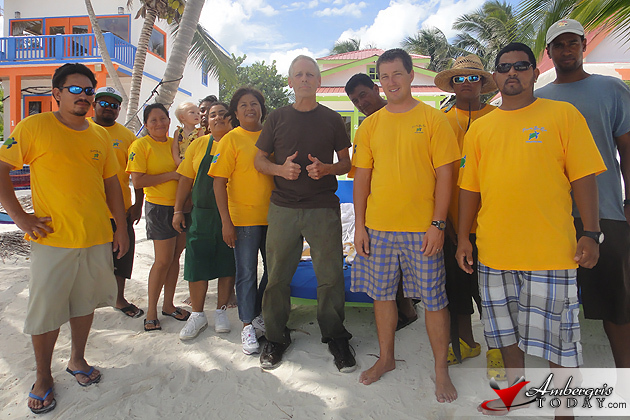 The staff and manager Carlos Settle divided into a few groups and set to search for the person in distress. After 30 minutes, one group found a man who was trying to find his way out of the woods but described as looking very weak and falling with every step he made. The man was brought back to the resort where he was fed, covered and given some sweet water. The man was shivering, hands spastic with cramps, fully dehydrated and covered in bug bites which the staff treated. A staff member of Tranquility Bay then drove the man’s golf cart back to town while he was rushed by boat to the poly clinic in town for a medical checkup. The man was identified as 56-year-old Mr. Hal Wulff, an American national of San Bruno, California and his story was that he arrived in San Pedro on October 31 and stayed at the Conch Shell Inn. The next morning, he rented a golf cart and drove north of the island with the intention to meet Greg, the Turtleman, but having reached his house just north of Tranquility Bay he was not there. At about 1:30 pm, Wulff decided to walk a bit in the bush while waiting for the Turtleman. He then got lost and could not find his way back to the beach; he spent the night in the wilderness. Kudos to the management and staff of Tranquility Bay Resort for handling the situation as a caring team and rendering help to Mr. Wulff. Editorial Note: I decided to post this on my Editorial Blog because stories like this remind me of other similar accounts of tourist making simple mistakes that end up costing them. You can never be too careful, especially if you are a tourist in a foreign country. Stories of tourists getting lost at sea, almost drowning because of not traveling with a proper tour guide, being conned of their money, hurt in a careless accident and even being robbed after befriending total strangers are not too far-fetched stories we hear every now and then. Yes, for the most part, San Pedro is a very peaceful place with great people to build lifetime friendships with, but with the good comes the bad and simple mistakes can cost you. And like everywhere else, you should always be very careful. *In the case of Mr. Wulff, the lesson to be learned is not to wander alone in a place you don’t know; a companion or a trusted local who knows his way around is the best way to go. *Be careful who you make friends with. Sanpedranos are very friendly, helpful and trustworthy, but there are others who will pose as your good friend and then try to take advantage of you, even steal from you. Do not give out personal information to strangers or people whom you have just met. *Don’t be flashing your money and electronics in public. Be wary of where you take out your money or use your electronics; you never know when people are observing your moves. 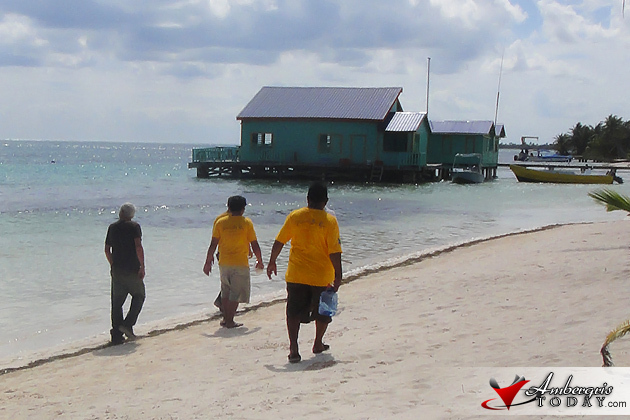 *Make sure you properly research your planned activities while on the island and that you use the services of a reputable establishment with trustworthy staff. Checking with your hotel’s front desk personnel is always good. Finally, do not visit hot spots or drug joints, not even to satisfy your curiosity because it can totally ruin our vacation.